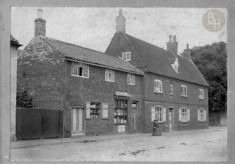 Two high quality images belonging to Mrs Owen, scanned digitally, showing (1) Geeson’s shop in Church Street, and (2) a picnic group including Mr D.R. 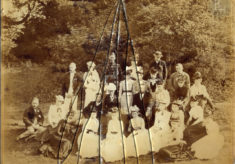 Daybell. 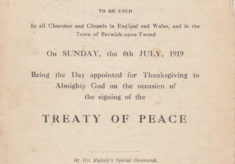 Also (3) image of Corner House, Easthorpe, c.1920, and (4) a copy of the Form of Thanksgiving and Prayer from the celebration of the Treaty of Peace, July 1919. 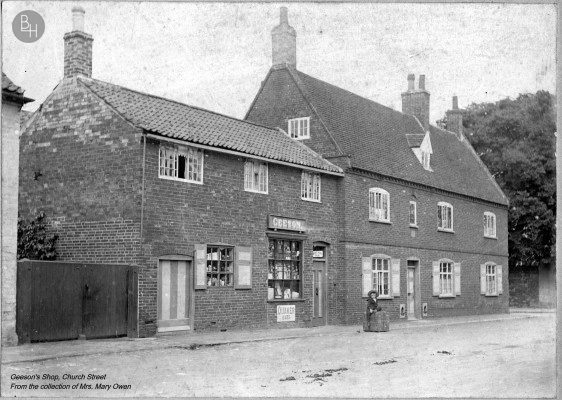 Old photograph of Geeson’s grocery shop, Church St., Bottesford. 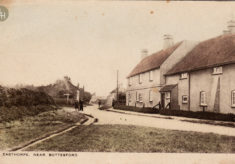 Item: Geeson's shop, Church St.